Regular Rate $1357 . Today Only $499! Romantic, ocean vistas ready for your special occasions. We just returned from a week at Melia Puerto Vallarta and had an excellent stay. Our room was oceanfront, clean and quiet. The buffets did not have the variety we have seen at other Resorts, but we are not finicky eaters so they were just fine for any meal. Silvia at the omelette bar started our days with made to order omelettes with a smile. The service everywhere was excellent especially the pool waiters who worked hard every days. Thanks Angel and Margarito for your great service around the pool. The nightly shows were not Broadway, but the kids who performed did well. We had a relaxing week, felt the price was well worth it and we would return to this Resort. Enjoy views of lush, tropical flora and fauna as your private balcony gives way to a stunning garden view. Rooms are brightly decorated and furnished for relaxing stays. Guests can enjoy four distinct dining destinations from large breakfast buffets beginning at 7:00 a.m.
Quiet, oceanfront dinners and cuisine choices go from traditional Mexican to European and Asian favorites served until 10:30 p.m. Time and effort is put into creating an array of delicious, sustainable menus and providing excellent service. Variety is the spice of life and we do what we can to help spice up your dining experience. Snacks at the Azulejos Restaurants from 23:00hrs to 04:00hrs. Please remember that reservations are strongly recommended and some restaurants have dress codes. NOTE: Opening hours of restaurants and bars, together with room service, are subject to changes without previous notice. Restaurant with air conditioning and outdoor terrace. Open daily with thematic buffet-type breakfasts and dinners. Opening hours: 7 a.m. to 11:30 a.m.
A la carte restaurant with gourmet-type Italian specialties. Previous reservation required. For families with children under 8 opening hours from 6 to 6:30 p.m. Formal attire. This restaurant offers a la carte Mexican specialties. Outdoor restaurant. Previous reservation required. Nocturnal snack from 11:00 p.m. to 4:00 a.m.
A snack bar at poolside open from 12 noon to 6 p.m. Monday to Saturday and 1 p.m. to 6 p.m. on Sunday. An international selection of spirits and beers is available at the lobby bar as it overlooks the hotel's open grounds, pools, gardens, and ocean. 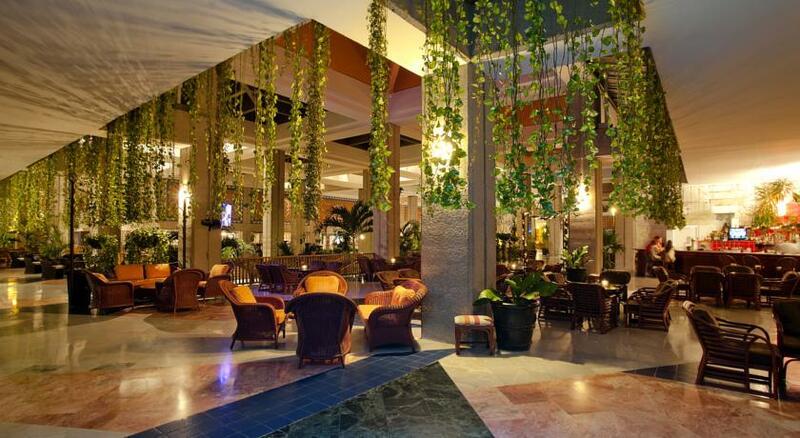 During special events like the Superbowl, Olympics, World Cup, viewing parties are hosted in the lobby bar. Hours: 5:00 p.m. to 1:00 a.m. When guests are lounging in the hotel's heated pools it only takes a few strokes to swim up to the bar and order the next drink. Hours: 11:00 a.m. to 6:00 p.m. 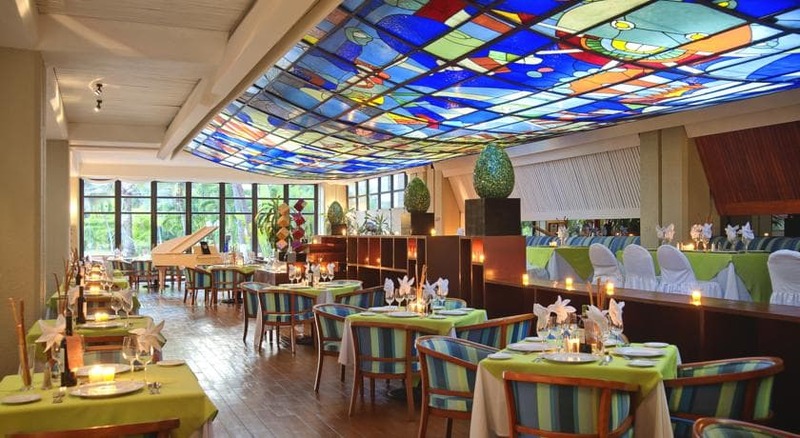 The Beach Club Grill is right on the beach as Caribbean style cuisine. Open for Lunch/Dinner. Bar sitting adjacent to the pool and mere steps from the sand is the picture perfect tropics bar for daytime drinking. Hours: Noon to 5:00 p.m.
"Nice vacation spot for young family"
Our family traveled here for 5 days the week of Jan 16, 2017. We have an 19 month old and an almost 5 year old. We transferred from the Crown Paradise Club knowing that the Melia also had a kid's club that would suit our 18 month old so. We were really looking forward to having some time sans kids. We took a cab there before we made the switch to make certain we weren't heading into a nightmare. As soon as we arrived, the service was a huge upgrade, the gentlemen at the front were happy and friendly. We then spoke with a Public Relations person and he was very accommodating. He took his time to show us around and explained what they offered, and took very good care of us. We are so thankful we were able to make the switch. 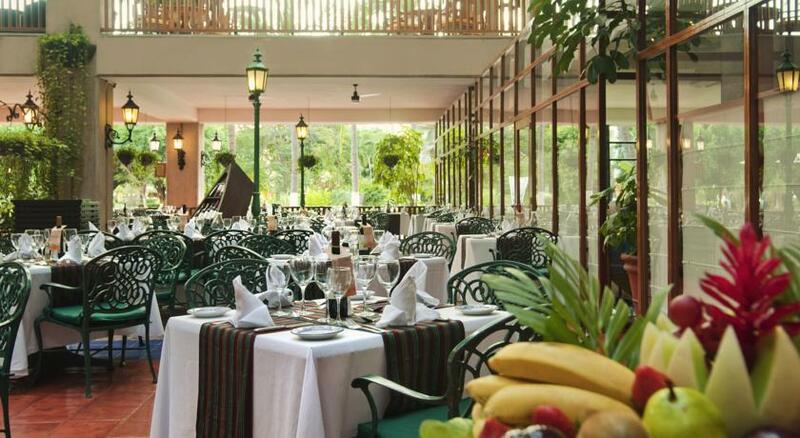 The Melia FAR exceeds the CPC in every way; food, rooms, service. The family room has bunk beds for kids with a partition so kids could sleep without much interruption. It also has a bathtub with shower; a big plus for families with little children. They have a fish pond where you can feed the fish, turtles, and ducks which we all enjoyed as our morning ritual. Like the CPC, they also had a kids' buffet area but with better food. I can't say enough about the quality of care we experienced at the Kids' Club - absolutely fantastic! The childcare workers are exactly what any parent looks for. Karina, Lala, Nancy, and for any one else I missed - we are so grateful. We even headed out for an evening, hiring Nancy to look after our kids, something I would have, otherwise, never thought of doing. We both felt very confident that our kids were in very capable hands. It was amazing! The kids club is secure (unlike CPC where my 4 year old jumped over the make-shift fence many times over which lacked proper supervision). Here, two daycare workers with the children at all times, secure kids play park, and the kids had tons of scheduled daily activities to do both indoors and outdoors. My 18 month old napped in their nap room without any hesitation, which I was completely surprised about. Both girls would ask to go and my eldest cried on our last day because she didn't want to leave her new friends, her sitters. If that doesn't say how great of a time they had, I don't know what does. We would come back just for the kids' club. We also enjoyed the location. Just steps away from the PV Marina and the bus stop, where we took the bus into PV, and into Sayulita. Food was great. No complaints. Service was great, place was clean, and maintained. Plenty of activities to keep the adults entertained; ping-pong, volleyball, dance lessons, water aerobics, etc. They have nightly entertainment which my four year old enjoyed. Hotel is a nice size - not too big, so it didn't feel like a major jaunt if you were on the beach and left something in your room. There's everything there that one could possibly need if you are one who prefers to only stay on location - medical clinic, spa, snacks, clothes, souvenirs, atm, etc. I have to say, I'm not a big fan of all-inclusive vacations in general. As a couple, we prefer an authentic cultural experience rather than staying in a resort. However, for families that just need a bit of a break to re-connect and know their kids will have fun and have the option of being well taken care of for a couple of hours here and there. For that reason, I couldn't ask any better. Great vacation and was sad to leave. Mexico, it is always a GREAT pleasure. We stay at the Melia every year and the resort does need some updating. But the employees are exceptional. Alejandra is always very accommodating and helpful! Benjamin and Angel are the best!!!! The absolute best view of the city, mountains, and ocean. My wife and I recently spent 15 days here. We had stayed here 23 years ago when it was not all-inclusive so were curious to see how it had changed. We had an oceanview room on the 9th floor in Tower 1. Room was very spacious and we had great views as it was a corner room. We were able to see fireworks at other places along the beach on many nights. Elevators were not a problem. Hot water late in the afternoon was hit and miss- some days it was great, others there was no HW. There were a couple of very minor maintenance issues but the front desk had them fixed very quickly. The grounds are beautiful. All staff were very friendly and so helpful. 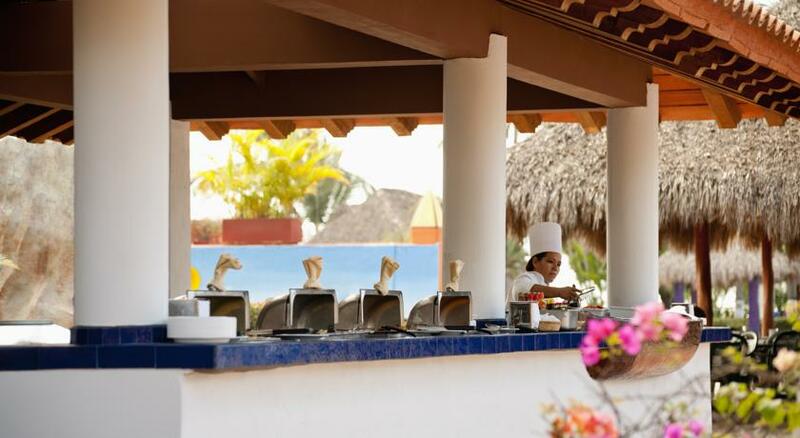 I want to mention Sylvia (omelette chef), David, Hector, and Epifanio in the buffet, Margarito, Angel and Benjamin at the pool, and especially Alexandra at the concierge desk. You had to line up each morning for reservations at the a la carte restaurants. My wife and I had our 47th anniversary while at the Melia and I wanted to make sure we had a reservation for that day. I mentioned to Alexandra several days before and she said that she would take care of it. Sure enough on our anniversary I went to the desk and she had the reservation all set up. We did not go to any of the shows but heard they were good. My wife took part in the water aerobics and enjoyed a very good workout. The food was very good. The buffet had lots of variety but food could have been warmer. We ate at Vitrales and the Palapa and food was very good. We did not try the Mexican a la carte as the menu did not appeal to us. People we spoke to had eaten at the Mexican and said it was excellent. We had free wireless in our room and it was free in the lobby. It was not particularly fast but was ok.
"Very Nice place to vacation"
First time in Puerto Vallarta, Mexico and I loved it. 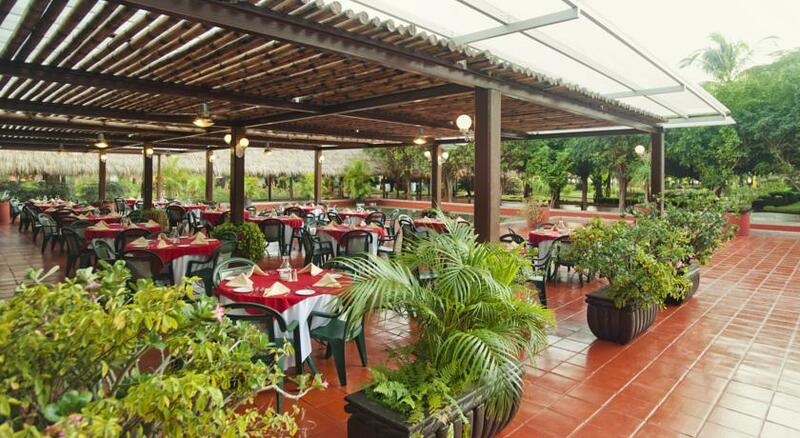 The food was fantastic, the resort was very clean and the staff were very helpful. There was plenty to do and the weather was great. Loved the whole experience. "Melia Puerto Vallarta has a BEAUTIFUL SPA AREA"
This was another return visit to this hotel. It seems each time we go there is something new adding to the beauty of this property. There is a beautiful SPA that has been built in the garden area of the hotel. The staff at this hotel is friendly and goes out of their way to help you. Fermin, Franklin, and Jose Luis. were outstanding waiters. Fatima in Public Relations was always smiling and friendly when answering questions. There were always enough pool chairs, even with the hotel full. The food was great, with a lot of healthy choices. The rooms were spotless. Every evening there was a show, so we always had something to do. The New Years Eve Party was spectacular. We plan to return in March! The staff was very friendly and attentive. The food was awesome. The pool was great with many lounge chairs to choose from. Great area with the marina and golf club close by. This was our second time staying here and will likely be back. "A lot to do in Melia Hotels"
We were here for a wedding, let's start off with that..the organisation was beautiful, the ceremony, the dinner, the beach party...we also did massages, facials and my mum's favority: aqua aerobic. We had a great time and had an amazing view from our hotelroom. During our visit we took in the shows of very talented dancers and acrobats! Lots of activities, music at the pool, padded ocean viewing lounges, lovely room, all inclusive!! Drinks were great - had my first Miami Vice, yummy! Staff was always so courteous and strived to make us feel at home. Thank you all for a great stay! "My trip to Melia Puerto Vallarta"
We have a time share with Melia, and have stayed at a lot of their properties. This property is smaller than most we have stayed at. For some reason I found it to be perfect. First off- my daughter loved the kids club. First thing in the morning, "can i go to the kids club?". She's four so she's in the younger group. Everyday she came back with a new craft and super happy. Every night they had a show. The kids where invited up on stage in beginning to dance and do contests. A happy kid- happy parents. While she was at the kids clubs we went to the spa. The ambience at the spa is okay, not great, not bad. The massages on the other hand are Amazing. I've had hundreds of massages, and these ladies knew what they were doing. The beach area was small but nice. The pool was what you would expect. Its's nice, has a swim up bar, and shallow areas for kids. They do activities in the pool through out the day. We enjoyed it. I wish it wasn't such a long travel day for us, or we'd def be back. "Kids club for all ages!!!! Babies welcome!" We have been here in May, 2016 and I really like the resort. We got a free room upgrade to the 2 bedroom suit located at the top level with ocean view. The service is on the top level. All employees are very nice, polite and friendly. The kids club is one of the best I have ever seen! The teachers are very care about little guys, do a lot of fun activities in the pool, outdoor playground and the kids room. The most important things - the kids are welcome at any age (babies too with no extra charges!!!)! One concern is about food. I would definitely change the menu for all restaurants and the buffet. I give 5 stars because we will definitely come back! Thank you all for the great vocation! After reading reviews I was a bit nervous but overall pleased. I stayed in a time share 1 bedroom which Was clean and comfortable. We had a nice ocean view and a hot tub on the deck that we never used. The all inclusive includes beer, water and soda in room but not wine, not sure why. The food was not great, best to eat at speciality restaurants especially the Italian one. Food was often luke warm so we opted for grills where we could get food hot. The one thing that stands out is the service. We never waited for anything. The activities were also fun and plentiful. Great location: close to PV Marina and numerous restaurants and shops and just a few minutes from the airport. Friendly service. Great beach. Very good value. Very minor room maintenance issues which were resolved quickly. "Perfect for a family vacation"
Just spent a week at he Melia Puerto Vallarta with the kids and another couple of friends and had a great time. Rooms are clean, grounds are beautiful and well kept, personnel is plentiful, including security guards, super friendly and kind, shows are impressive. If there is a Cirque du Soleil talent scout out there I would encourage them to go take a look at these shows! Lots of activities and fun for the kids and the adults. Food and booze were great. No cheap knock-offs like at other resorts. Overall, an excellent value for the price. I am sure for more money there are fancier places to check out, but for us Melia always delivers an unbeatable value for our buck. You can swim in the ocean right in front of the hotel and take a walk on the long beach to the right. Lots of water entertainment too (for a fee). And keep your eyes peeled for the beautiful iguanas who show up from time to time to say hello! They can be found on the trees or in the green patches. Occasionally they'll take a stroll on the walkways :O) (DO NOT TOUCH THEM, though... they have very long and sharp claws!) Thank you Melia for another wonderful stay! "Meals and service exceed what we were expecting, clean, kind and tasty"
Balance between paid-received exceeded. The resort is old (26 yr aprox) but the areas are clean. They just need to improve the pillows on the beds and the beach area. Meals are nice, great variety and tasty. Service is nice and kindly. You will love to give them that small tip everyday for a good service received. The night shows are good. In general a good place to spend time with the family. "Okay resort with wonderful employees." The Melia's employees were the best part of this trip. By the time we left, it felt like we had made new friends. Luis, our pool and dining room waiter was the best! He was very friendly, efficient and took very good care of us. And the concierge (can't recall his name) was so very helpful! The hotel itself is okay, but rooms could use a little refreshing. Maybe some new lamps/shades, artwork, and include washcloths with the bath towels. Not a big deal, but would add a little more comfort to the resort..The location of the Melia was excellent as it was right across the street from the Marina, and close to the airport. "Great service, look for Angel(waiter) by the pool"
Do not lose your bracelets or your towel cards it will cost you some money, didn't lose any but there's some fees if you lost them. Overall great family experience!! Kids released baby turtles back to the ocean as part of their activities! Omg awesome experience! First time in puerto Vallarta n I have to say it's the best vacation I have had so far thanks to this hotel. People here are very friendly. All inclusive awesome food different each night but good. I was so happy the entire week we stayed here our waiter Eduardo aka "guero" he was so nice and attentive to me n my family ask for him if u stay in this hotel. They also have pool activities very fun, night shows I recommend u don't miss the illusion show it's amazing. The rooms have ac so they r always fresh once ur back. So many things to say about Melia Hotel but ultimately I recommend if u plan on going to puerto Vallarta u stay here. Regular Rate $ 1357 . Today Only $499!